Around 20 per cent of women suffer from acne well into their 20s and 30s, which can be caused by anything from stress to hormone fluctuations and more. That being said, teenagers are not the only ones prone to ugly spots on the skin, basically, everyone is. Worry not. There are actions you can take to prevent or eradicate those distracting spots on your skin – and these are not topical over-the-counter treatments and antibiotics, they’re yummy foods! There are a number of foods long-heralded for their skin clearing properties that, added to your diet over time, may help to significantly improve the quality of your skin. Here are some! One of the key measures for tackling ageing of skin is through rendering better skin nutrition. As pomegranates are rich in antioxidants, they not only nourish the skin, but also prevent damage caused due to free radicals. In addition to being effective anti-inflammatory and high in essential fatty acids, pomegranate possesses potent anti-aging compounds, which helps in stimulating keratinocyte cells (skin cells) thereby aiding cellular regeneration. 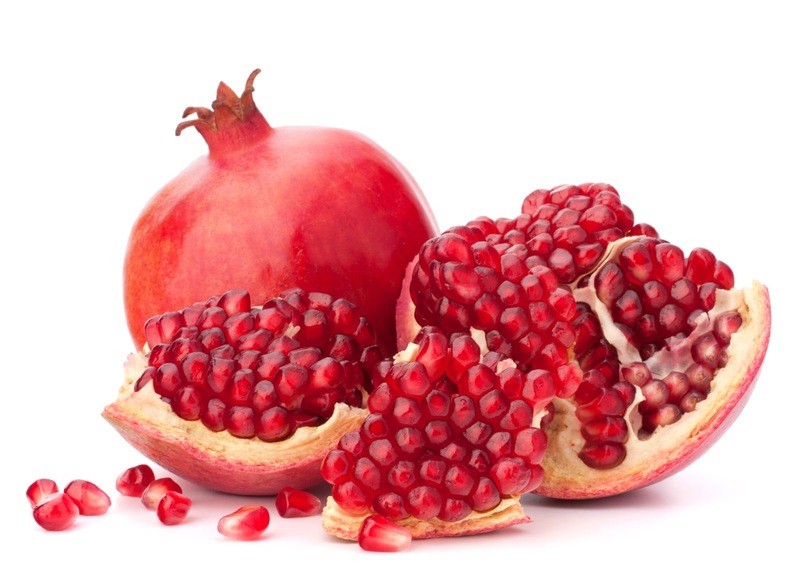 Vitamin C present in pomegranate plays a key role in formation of collagen (skin is made up of collagen and elastic fibres), thus enabling various proteins responsible for making healthy and stronger skin. One pomegranate possesses 48 percent of the daily recommended dose of Vitamin C.
Organic pomegranate juice is extremely beneficial for skin. It not only penetrates deeply into the skin, but also moisturises the skin with micronutrients and phytochemicals. Exfoliation – The crushed seeds of pomegranate acts as an excellent natural aid for exfoliating dead cells present on skin. This entry was posted in Health Tips, Healthy Food Recipes, Herbal Medicine, Interesting Articles and tagged Healthy Food Recipes by admin. Bookmark the permalink.